How does your organization compare? 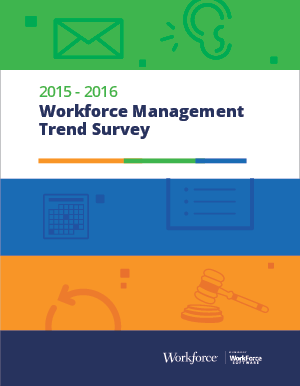 To find out, download a complimentary copy of the sixth annual Workforce Management Trends Survey. Based on a comprehensive, cross-industry survey conducted by Workforce magazine, this complimentary resource is packed with the latest metrics and emerging best practices for managing employee time, scheduling, and leave more effectively.